Like many other countries in the Latin America and Caribbean region, 'tourism' is one of the main economic drivers in Haiti. Haiti's former minister of tourism Stéphanie Villedrouin worked tirelessly to improve this sector during her tenure. She was regarded as one of the most visible figures of Haiti's different Ministries who never remained contented with the accomplishment of tourism objectives, but worked to create infrastructure that will ease tourism in Haiti in decades to come. Because, she believed that visitors to Haiti can provide much-needed funds to boost infrastructure and create jobs to help trigger redevelopment. On Monday, March 28, 2016, Guy Didier Hyppolite has been installed as the Minister of Tourism and Creative Industries, replacing the outgoing Minister Stéphanie Villedrouin. His name was announced by the new Prime Minister Enex Jean-Charles. Prior to this appointment Guy Didier Hyppolite was serving as the Vice President of the Tourism Association of Haiti (ATH). The installation of Guy Didier as the new Minister of Tourism was held at the National Palace following the inauguration ceremony of Prime Minister Enex Jean-Charles and of the members of the Government of the Provisional President of the Republic Jocelerme Privert. In his new post, Hyppolite will serve in the administration of the Interim President Jocelerme Privert. Stephanie Villedrouin, the 33-year old Haiti's dynamic Minister for Tourism and Creative Industries is determined to put Haiti on the global map of tourism. During her trip to the U.S in last July, she made a stop in Boston to spread the good news about the growing trend observed in Haitian tourism. In the last fiscal year (2013-14), there was an eleven percent rise in tourist visits to Haiti. Many Diasporas are interested to come back to Haiti and many other foreigners are becoming curious and found inquiring about Haiti. Recently, on December 8th, 2015, an all inclusive resort "Royal Decameron Indigo" has been inaugurated in Cote Des Arcadians at a cost of $8 million by the Decameron Chain of hotels from Columbia. It is a 380-room property, renovated on the 55 hectares land of "Club Indigo" bordered by 1.5 kilometers of white sandy beach. In last March, the deal of acquisition was completed when Lucio Garcia, the CEO of the Decameron visited the site and met Minister Stephanie Balmir-Villedroin to finalize the terms of the takeover. As per their plan, the resort will procure its regular requirements through local Haitian entrepreneurs so that it can create 500 local jobs and further deploy 420 local people to work in the hotel. Decameron has presence in 11 countries across the world. As per their statement, they are passionate about quality and good service, understands the importance of paying attention to every detail so that they can provide the best market alternative in hotels and tourism. 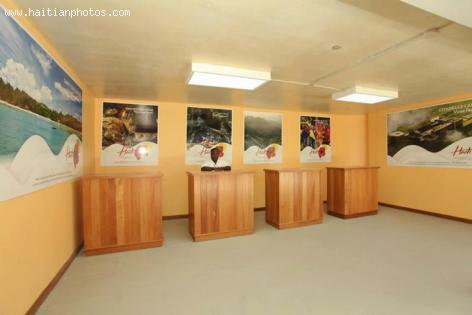 As per Minister Villedrouin, the development and quick execution of the takeover was possible because of the Haitian government's continued presence and support to the project; the government believes that "the success of tourism in Haiti is synonymous to the success of every Haitian". This can not be good for Haiti. Even worst, this will likely stay with he country for years to come. Royal Caribbean cruise line ship canceled its scheduled visit for Tuesday January 19, 2016 at Labadee after some Haitian protesters in small boats staged a protest. Royal Caribbean was obligated to find an alternative for its 3,634 passenger of its Freedom of the Seas that were headed to Haiti. Although the protest by the Haitians was peaceful; however this is not what the company wants to offer to their precious clients and visitors in Haiti. 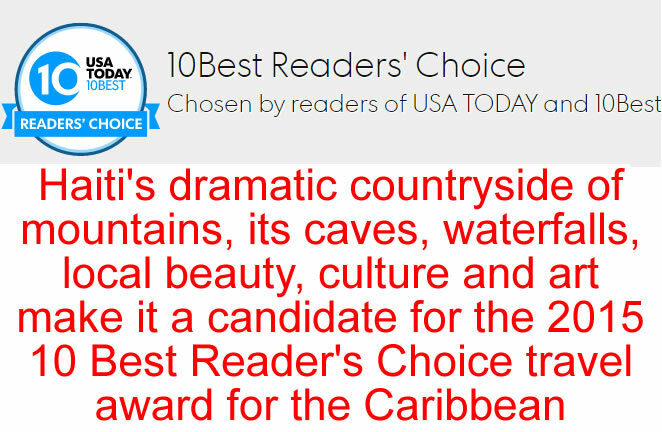 Haiti's dramatic countryside of mountains, its caves, waterfalls, local beauty, culture and art make it a candidate for the 2015 10 Best Reader's Choice travel award for the Caribbean. Traveling to Haiti in itself is considered as an adventure to the traveling world. Haiti has been distinguished for tthings such a rocky horseback climb to the towering Citadelle Laferriere fortress, a stepping stone river crossing to the surreal turquoise pools and gushing waterfalls of Bassin Bleu. Have you been able to enjoy all these assets in Haiti that earn it a place at the 10 Best Reader's Choice travel award for the Caribbean? 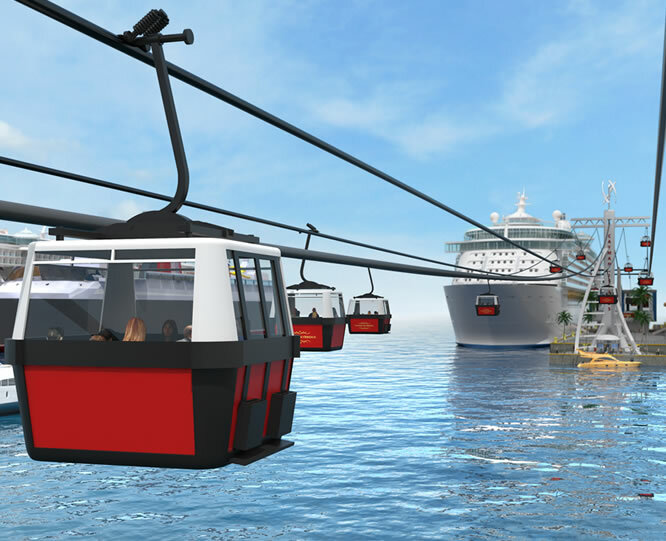 Did you know that there is a plan for China to build a cable car line linking Labadee with Citadelle Laferriere? We just learned that China is getting more involved in Haiti. It is already estimated that this Cable car line project will greatly improve tourism in Haiti. Once this project is accomplished, Royal Caribbean will be able to offer its passengers more than a breathtaking scenery, incredible thrills and spectacular water activities at their private beach destination in Labadee. They will be able to offer them tours to the historic Haiti site of Citadelle Laferriere in very safe conditions. Political instability in Haiti and its effect on tourism sector. The Hotel de Plaza was the site of a conference on the tourism industry in Haiti. The topic concerned incentivizing investment under the Investment Code. The support and advice of the Tourism Association of Haiti (ATH); the Interministerial Investment Commission (CII); and Investment Facilitation Center (CFI) would be provided. The report found that since summer of 2014, Haiti has moved up to 19th position, a gain of 34 points. Haiti is leading the pack, followed by Iceland that moved up to 11 spots. Stéphanie Balmir Villedrouin, the Haitian Minister of Tourism and Creative Industries visited Boston and Brockton on Wednesday, June 3 on a national tour, accompanying a team of tourism officials and hoteliers. 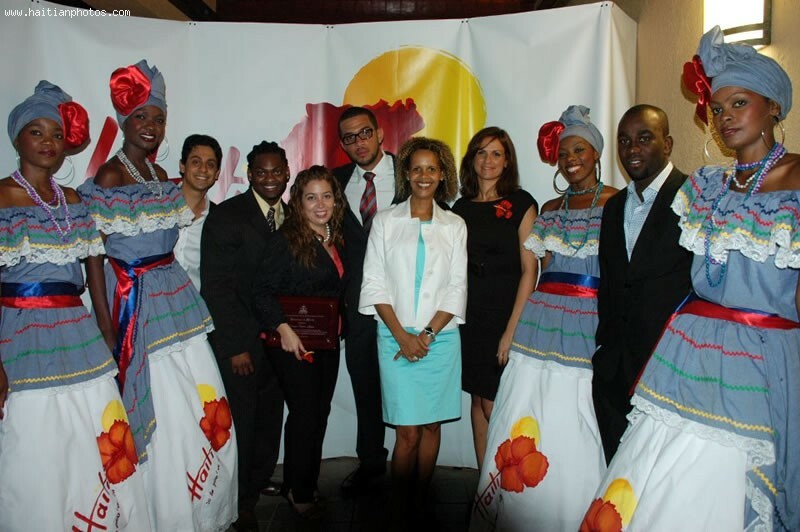 The main purpose of her visit was to boost the tourism trade in Haiti from the United States. Mrs. Villedrouin made a presentation to an audience of Haitian American activists at the Thorny Lea Country Club in Brockton on Wednesday evening. She has pointed out the significant increase in the number of visitors to Haiti in the last two years. The 2013-14 has shown an increase by 11% in the visitor number. Her trip was luckily coincided with the milestone launch of JetBlue's first ever direct flights between Boston and Port-au-Prince on June 17. Many of you may t be aware of this; however there will be a boom in the tourism industry in Haiti. The important players want to get into the act. The latest is Florida Orlando International Airport as the just announced that they are exploring the possibility of offering direct flights to Port-au-Prince. Orlando is one of the major metropolitan areas where Haitian immigrants reside in the United states, beside the greater Miami, New York, Boston, and Atlanta areas. These five cities account for nearly three-quarters of the total number of Haitians living in the United States.